The Yad Vashem Holocaust memorial is engaged in a feverish race against time, a race in which they know that every day counts – a race to document the names and lives of as many Holocaust victims as possible before their memories die away with the Holocaust survivors who were carrying them. Yad Vashem has so far been successful in documenting close to 4,800,000 of the six million Jewish victims, a dramatic achievement since a comprehensive and intense project to conserve the memory of Holocaust survivors was launched in 2004, when the archives included some 2,700,000 names. The Yad Vashem archives house the most comprehensive collection of Holocaust-era documentation in the world, which includes some 201 million pages of documentation. The range of information one can gather about a Holocaust victim after the documents about him or her have been located, scanned, cataloged and indexed is at times staggering. The project to document the Holocaust victims includes the collecting of testimonies from survivors at the rate of about 10 per day, or some 1,200 a year. Similarly, the project includes the collection of Holocaust-era items, mostly photos, of which some 200,000 have so far been collected. The testimonies and documents come from every country in the world in which the Nazis perpetrated the Holocaust, and are collected by 40 expert-teams who are doing all they can to document a much as possible before it’s too late. Through this project, 80 percent of the total number of Hungarian Holocaust victims has been identified. However, the memories of victims from Poland and parts of the former USSR, in which the Einsatzgruppen killing units operated and massacred Jews in open fields, are probably lost forever, as there is no documentation on the circumstances of their death and there are no survivors to tell their stories. Likewise, children are those least likely to be remembered and documented, as survivors remember that there were children, but usually do not remember much else, Dr. Haim Gertner, Director of the Archives Division at Yad Vashem, told TPS. 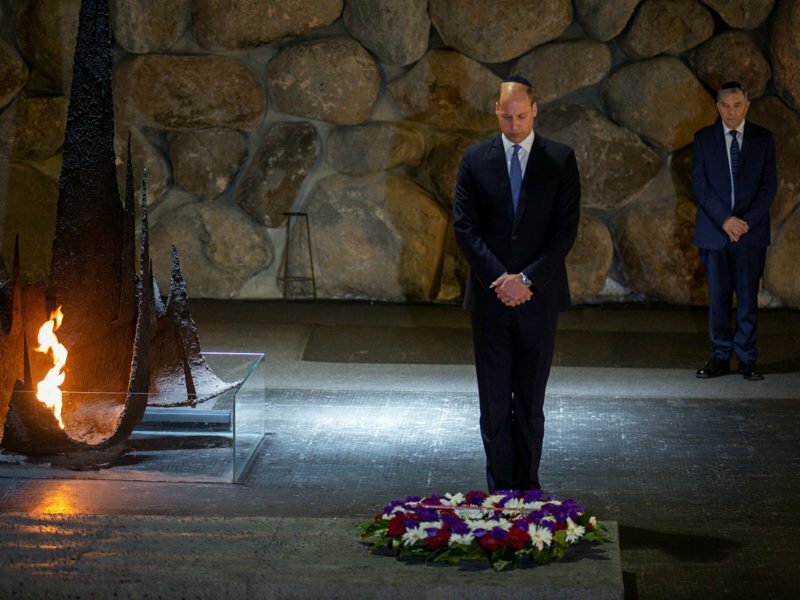 However, despite the challenges, Yad Vashem is not giving up. Gertner explained that every item of information collected serves as a piece of the puzzle or a building stone which is part of a structure that provides the most comprehensive picture possible about the Jews who perished in the Holocaust. Seeking to raise awareness of their important endeavor and its urgency, Yad Vashem and Facebook Israel have joined together in a project to promote Holocaust commemoration on social media. The Holocaust Remembrance Project is honoring Holocaust victims with a unique initiative: “The IRemember Wall” created especially for International Holocaust Remembrance Day. Yad Vashem’s “IRemember Wall,” launched earlier this month, enables Facebook users to share the identity of a Jewish victim from Yad Vashem’s Central Database of Shoah Victims’ Names. Participants are randomly matched with one of the men, women or children recorded in the database. Running 24-29 January 2019 to mark International Holocaust Remembrance Day, “The IRemember Wall” provides a unique opportunity for the wider public to engage in an interactive commemorative activity. The name of the participant, together with the name of the Holocaust victim they are matched with are added to Yad Vashem’s virtual “IRemember Wall” and can then be shared on the participant’s Facebook page. Dana Porath, Director of the Digital Department, Communications Division at Yad Vashem, told TPS that thousands have already joined the initiative while thousands more are expected to do so. Participants from all over the world have joined this moving project, which Porath said enables each individual to focus their remembrance of the Holocaust on a specific victim, while in turn, each victim is remembered and commemorated individually.